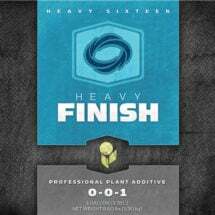 A high-quality enzyme product. 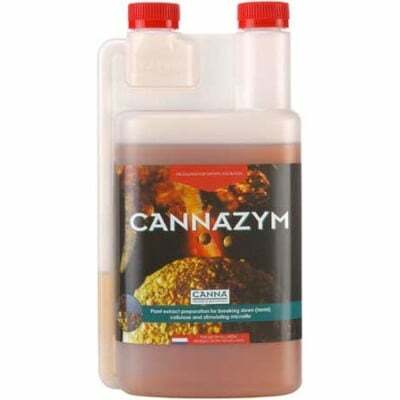 CANNAZYM contains more than 12 different enzymes to break down dead plant remains in growing media — keeps the substrate free from unwanted dead roots and the harmful microorganisms that could develop on them. 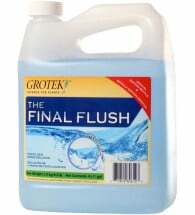 Also, provides improved aeration in the medium and nourishes the plant with the nutrient elements that are released. CANNAZYM improves the quality of the growing medium and ensures that it can be used over and over. 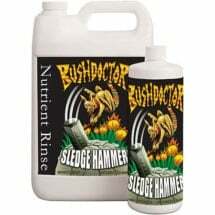 In addition to enzymes, this popular additive contains several easy-to-absorb vitamins that stimulate the formation of new roots and increases the plant’s resistance against pathogenic organisms. A plant extract preparation for breaking down cellulose and stimulating micro-life in growing media. 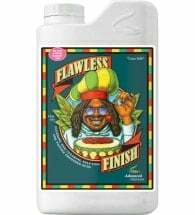 Step 2: Mix 25 ml per 10 Liter or 9 ml per US gallon (1:400) and apply at least once a week, preferable continuously. When reusing growing media, double the dose for one or two weeks. – Do NOT prepare more solution than can be used in ten days.